Prepare yourselves for the tens of thousands of immigrants coming from Central America headed for the Rio Grande to cross into the great state of Texas and be met by a swarm of Democrat lawyers with open arms welcoming them into our country. Prepare yourselves for you tax money to go to toward their housing, their Medicaid, their medical needs, their food, their education, their clothing. Everything they need to survive will be paid for by American tax dollars. Your money. Your tax dollars that is being withheld from your pay is going to go cover these people coming into this country illegally. Money that could be paid for your children, your grandchildren, your mothers, your fathers. This is a disgrace. It needs to end right now. Vote Republican. Get these bleeding heart liberals who are nothing more than radical anarchists trying to overthrow our country. Get them out of office. Vote Republican. End this madness. 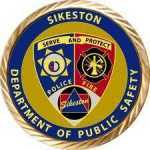 SIKESTON — Paul David Suver, 63, died Nov. 2, 2018, at his home in Sikeston. Arrangements are incomplete at Nunnelee Funeral Chapel. Sikeston R-6 Parents as Teachers Children of the Month for October have been named. Pictured are, from left: Rhydian Huffman, 2; Bryleigh Sullivan, 2; and Brydon Sullivan, 1. Also pictured is Tressa Sullivan. Not pictured is Brogan Sullivan, 5. Madilyn Seabaugh, daughter of John and Lisa Seabaugh, is the Standard Democrat’s Calendar Girl for November. Seabaugh, a finalist in the 2017 Miss Sikeston contest, is currently attending Keiser University where she is majoring in nursing.